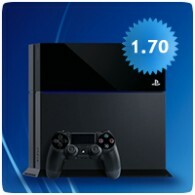 PS4 firmware v1.70 is now available to download, and brings with it a massive number of new features and improvements. Along with the previously mentioned new features, including SHAREfactory, HDCP off for games and USB export options, the new firmware update also adds options to dim the lightbar on the DualShock 4, adds new Friend options, Trophy sorting and a whole lot more. Automatic pre-download: You’ll soon be able to start downloading select pre-ordered games from PlayStation Store. This new feature allows you to get to your games faster by automatically downloading select pre-ordered games up to several days in advance of the release, so that it’s ready to play as soon as the game is released on launch day. There’s also a countdown timer prior to the release of the game so you’ll know how soon your game will be available for you to start playing.